When operating a vehicle, a driver must yield the right-of-way to persons working on highway to avoid causing a car accident. Many of the “rules of the road” do not apply to persons, motor vehicles, or other equipment while they are engaged in work within the right-of-way of any highway. This is what allows police, fire fighters, flaggers, and construction workers to stand in the roadway while conducting traffic, block roads and pathways, and even drive in ways that are against the traffic code. City and company policies require workers to abide by the rules of the road. Reckless driving as well as driving under the influence are still illegal, even for these workers. In addition, all the rules of the road still apply when a worker is traveling to or from the worksite. 46.61.030: Persons working on highway right-of-way—Exceptions. Unless specifically made applicable, the provisions of this chapter except those contained in RCW 46.61.500 through 46.61.520 shall not apply to persons, motor vehicles and other equipment while engaged in work within the right-of-way of any highway but shall apply to such persons and vehicles when traveling to or from such work. If you are ever injured in a car accident with a construction vehicle, you need an experienced attorney that can determine if you have a case. The experienced attorneys at Parke Gordon Law Firm have handled many car accident cases. Our lawyers will work hard to get you every penny you are owed. 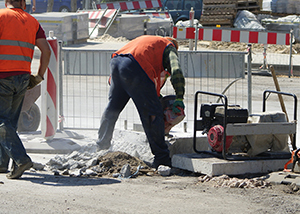 Workers may be exempt from the application of certain rules, and it may depend on where the worker was and what they were doing at the time. Contact our experienced and knowledgeable attorneys at Parke Gordon Law Firm for a free consultation. This is your opportunity to speak with an experienced personal injury attorney about your case for free. Call (509) 482-7274 to get started on receiving a fair settlement from your personal injury case.